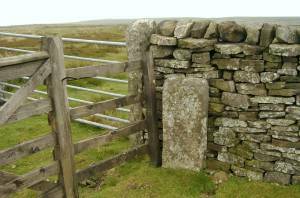 Record Description GRI-12 is boundary stone number 12 of the first 21 around Grinton Parish starting from Stolerston Stile and reaching as far as Gibbon Hill. It stands on the Grinton-Bolton watershed, and on the Grinton side of the boundaries with both Ellerton to the east and Bolton to the south. 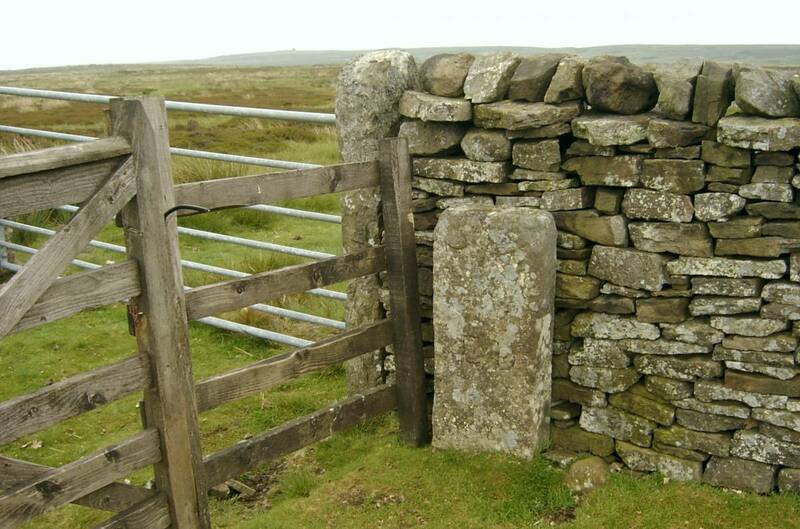 Iâ€™m grateful to Tim Gates for supplying a transcript of documentary evidence at The National Archives (E112/765 Ebor 189A) to show that this stone was erected in 1663 to determine the boundary between the estates of Sir Solomon Swale 1st baronet, to the north and west, and of Charles Paulet, who styled himself Charles, Lord St John, to the south. See also records 562, 563 and 564. Paulet had married the heiress to the Bolton estates and would later become the 1st Duke of Bolton. Originally the stone depicted only the coats of arms of the two men, which appear on the north and south faces. The letters ED, for the Ellerton Abbey estate of the Erle-Drax family to the north and east, must have been added later because the owners of the abbey estate didnâ€™t style themselves Erle-Drax until 1755 (see record 556). 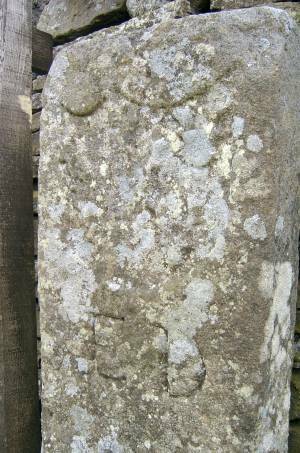 Additional Notes On the north face of this stone is a blazon divided vertically, two-thirds and a third, combining the two coats of arms of Swale. Itâ€™s now barely visibly because of weathering. In the larger right-hand portion are the three hartsâ€™ heads associated with Swale of Swale Hall, and on the left is the â€˜bend nebuleeâ€™ (a wavy, diagonal band) associated with Swale of South Stainley, near Ripon, which was the baronetâ€™s ancestral home. He had united the two estates when he purchased the lands of Swale Hall from his kinsman â€˜oldâ€™ Solomon Swale in 1649. This stone and two others farther west along this boundary bear the only known depictions of these arms combined; the combination apparently defying the rules of heraldry. 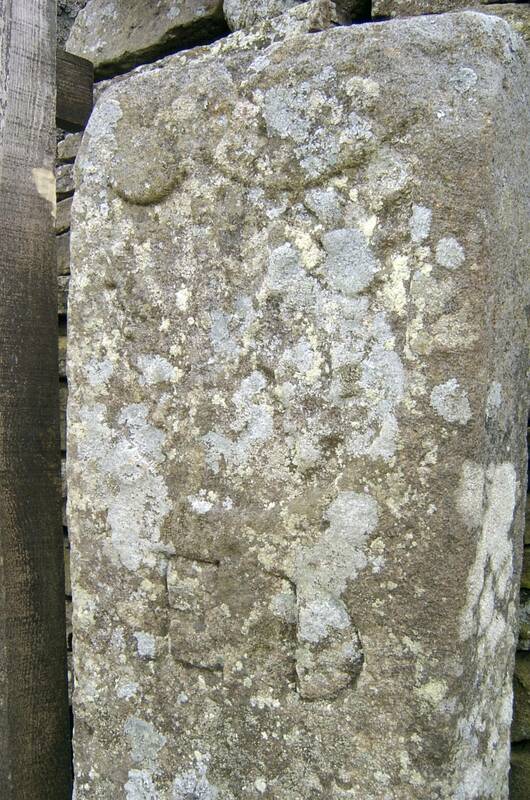 On the south face of the stone is another split blazon, this one showing the combined arms of Charles Paulet â€“ three swords â€“ and his wife Mary le Scrope â€“ a simple â€˜bendâ€™ (straight-sided diagonal band). In this case the combination is an accepted convention to signify the marriage of two holders of arms.